8 Weeks ago two friends of mine convinced me to join an “8 week challenge” at a gym here in St.Catharines. You can read more about it in my previous blog “Dodging Fly Balls and Other Ridiculous Excuses”. The ladies participating in the “8 week challenge” started with a weigh in and measuring. At the end of the 8 weeks all of the particpants would weigh in and measure again and the team with the most inches and pounds lost would be the winning team. At the beginning I wasn’t really focussed on “winning”. I was totally engrossed with my fear and anxiety about exercising this intensely. I wasn’t confident I could make it through one class- forget trying to win the challenge! After all, I was the most unco-ordinated, clumsy, out of shape, inexperienced exerciser! To my complete surprise the trainers at the gym, Keith and Cody were AMAZING!!! 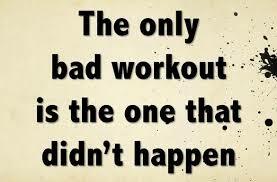 Have you ever worked out and feel like you are spinning your wheels and making little to no progress? 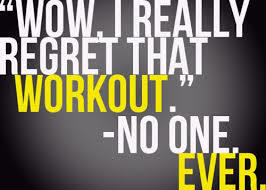 We are all so busy these days, so when we carve out time to workout- we need it to be worthwhile! This gym is AMAZING and I can tell you from my personal experience; their workout classes REALLY work! 8 weeks later my partner Becky and I WON the challenge!!! Between the two of us we lost 50lbs and 30 inches in just 8 weeks!!!! *I have a SPECIAL DEAL for my blogs readers!!! The owner of U can B fit gym has made a special offer to the first 12 people who sign up and mention my blog. He is offering 20% off monthly membership fee and will give you free registration ($65 value). If you are looking for a program that actually works, you’ll want to jump on this deal! 🙂 Feel free to message me for more details!! I hope that you find success with whatever workout regime you work into your schedule! !